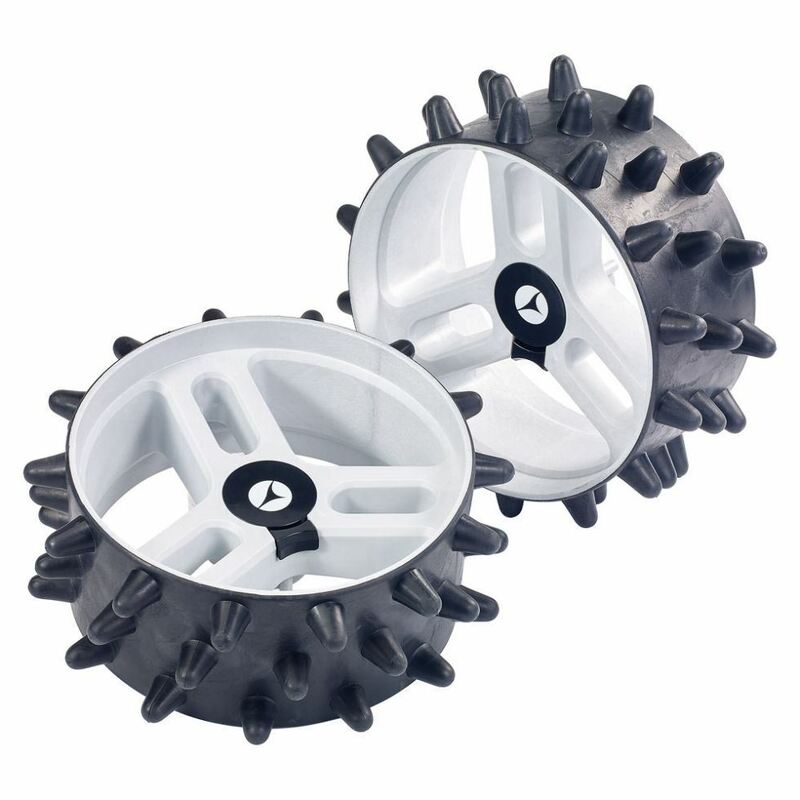 Developed in conjunction with the Hedgehog Golf Company the DHC Winter Wheels are durable and hard wearing, reducing turf drag when used in wet conditions. *not compatible with non-DHC models. Please click here to view the standard M-Series Hedgehog Winter Wheels.